You probably don’t need to be lectured on the benefits of incorporating cycling into your everyday routine – especially compared to using a car to get around. What you might need a refresher on, though, is the degree to which cyclists must obey the law when setting out amongst traffic and using roads in the UK. This seems to be a foggy area for a lot of people. Cyclists, motorists – even police officers have, at times, been caught spouting off incorrect knowledge on how a bicycle must be operated on the road. This lack of clarity has only fuelled the fire which exists between cyclists and motorists – a long-spanning conflict in the UK, with neither side having much love for the other. So, let’s review: what laws must a cyclist obey, what general rules should a safety-savvy cyclist keep in mind, and why do riders and drivers seem to have such contempt for each other when sharing the roads? You need working, approved lights on the front and back of your bike. When it’s time for the cars’ headlights to go on, it’s time to switch on yours. Both need to work, and if you’re caught riding on a public road with faulty brake systems, you’re in trouble. Legality aside, guys – make sure you’re able to stop when you need to. If you can’t keep up this basic level of maintenance on your ride, you’ve got no business being on the road. You need a red reflector placed at the rear of your bike, and your pedals must be fitted with 4 amber ones. Here we come to a popular query, especially amongst novice riders who are understandably nervous about riding alongside cars and other vehicles. Despite what you might learn from watching certain cyclists during their travels, you cannot proceed past a red light. Though it may feel good to smile smugly at the disgruntled driver next to you as they remain waiting for the light change, it’s against the law. As well as being pretty dangerous, you’ll also be rolling the dice on being slapped with a fixed fine. There’s plenty of motorists out there who would be happy to catch you on video committing such a crime for some social media shaming – so just practice patience and wait for the green light (jumping an amber light is also, in most cases, illegal). The wording is a little vague in terms of pavement law, but, ultimately, you can’t do it. 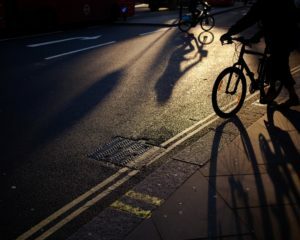 It’s a little bit of a grey area, though, as the Home Office has stated multiple times that police officers should show discretion and proper judgement when intervening with a pavement-riding cyclist. What this means is that, although it is an offence to ride the pavements (due to them being for sole use of foot-pedestrians), if you are doing so to avoid scary, traffic-heavy situations, and are also showing good awareness and consideration to those around you, you’ll probably be okay. 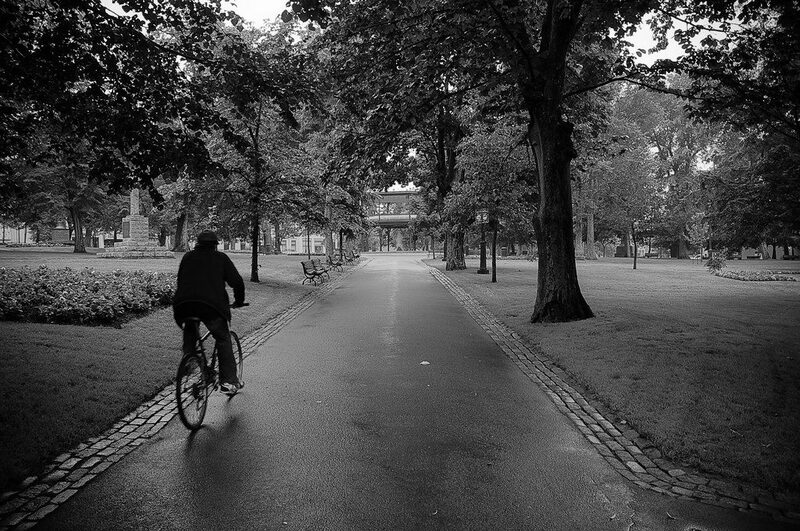 Dedicated cycle paths aren’t the most common sight in many UK cities, which is a shame. Until things change, though, don’t ride carelessly on pavements and invest in a good bell to notify pedestrians of your approach. Good manners go a long way! We’re slipping deeper into the grey area here. If you’re using up your tinder swipes whilst operating a motor vehicle, you’re committing a crime. Doing the same on a bike isn’t a punishable offence – though you’re still at risk of being pulled by any observant police for careless riding. Our thoughts on this? Your phone can wait. Focus on the road ahead of you, keep up your peripheral awareness, and enjoy yourself! Cycling is a lifestyle and a form of focused meditation, so the distractions on your phone can wait until you get to where you’re going. 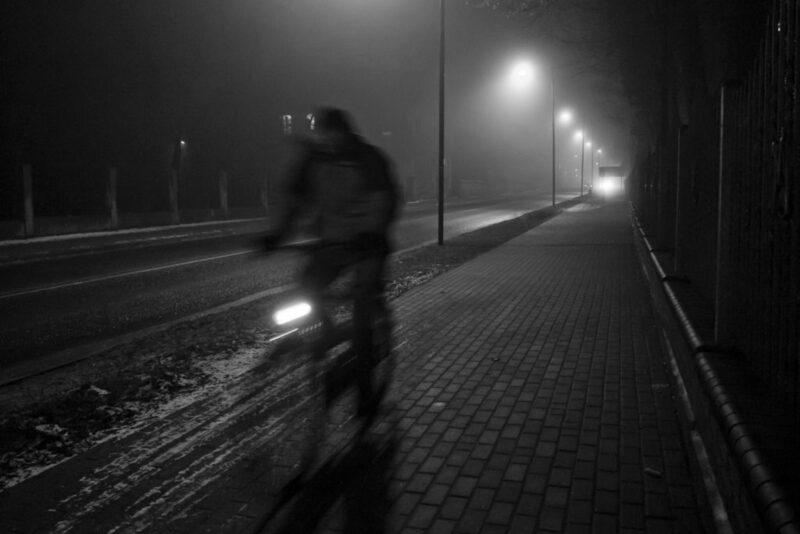 We all like to cut loose, but riding your bike whilst inebriated through the use of drugs or alcohol is illegal. 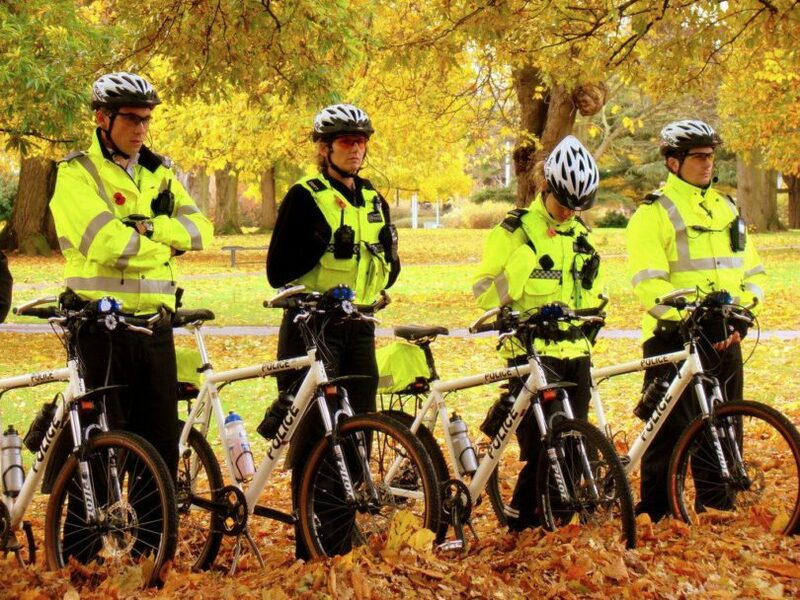 You won’t be submitted to a breath test, but rather to the officer’s own judgment on your ability to ride a bike safely in your condition. Likewise, careless cycling which negates any consideration for other users of the road is an offence. Again, we come to a grey area here – as it is down the observing police officer’s judgement on what constitutes careless riding. Though there aren’t any set speed limits for cyclists to observe, you can still face a fine of up to £1000 for what is labelled as ‘furious cycling’. Although not all of the same rules apply, cyclists would do well to follow traffic laws when riding – especially on busy roads. The laws exist for a reason, and as well as avoiding a potential fine, you’ll be ensuring that you avoid any accidents and collisions by acting in accordance to the same laws as those you’re sharing the road with. Neither bikes nor cars are going anywhere anytime soon – so we’ll all have to learn to get along some way. But why is there such animosity between motorists and cyclists? Some might simply put it down to human nature – but a more tangible answer might lie in the way cycling and cycle culture is viewed by the majority of the population. When the topic of road cyclists is brought up, a collective groan from surrounding motorists is not uncommon. No one can deny that there are a good number of impolite cyclists, who wouldn’t hesitate to jump a red light, mount a busy pavement, or seek to cut off cars on the wrong side. There are, on the other side, many motorists who will drive recklessly around cyclists without care or consideration to their vulnerability on the road. Many avid cyclists could probably describe a few times they’ve had abuse yelled at them at some point or another, too. What might be needed, then, is a greater focus on dedicated on safer and more accessible roads and paths for cyclists to get around. Other places, such as many cities in the Netherlands, have already made incredible progress in this area. Though, when looking at the budget allocation from the Department for Transport, you might be surprised at how little money is put into cycling activity in the UK. A shift in the perception of cycling, as well as an increased practice and passion for it, would surely be a step in the right direction. In the meantime, though, stay safe folks. Brush up on your knowledge of the Highway Code, make sure you’re fully aware of the do’s-and-don’ts of cycling in traffic, and make sure those brakes are in good condition.